Vicki joined the firm in September 2001. She was first admitted to practice law in New Mexico in 1995 and is admitted to the Bar in the District of Columbia, Maryland and Virginia. Vicki focuses her practice exclusively in all aspects of divorce and family law. Her goal is to make a positive difference in the lives of her clients with a minimum of emotional stress. She embraces a problem-solving approach and works alongside her clients to come up with the best possible outcome to help both the adults and their children move forward with their lives. Vicki’s family law practice includes divorce, alimony, property disputes, division of retirement assets and preparation of orders, divorce tax issues, custody, child support, premarital and postmarital agreements and post-divorce matters. Vicki is a hardworking advocate for her clients and prides herself in delivering a high level of service and attention to detail. She is experienced and skilled in all methods of dispute resolution, including negotiation, mediation, collaborative law and litigation. Although a problem solver by nature, she will pursue litigation aggressively as circumstances warrant. 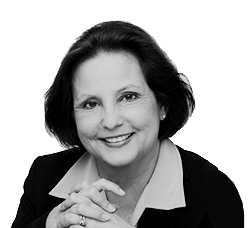 Vicki is trained in the Collaborative Law process – a client-centered approach that helps the divorcing couple reach a durable agreement that they can both live with and that meets the needs of their family. The collaborative process focuses on mutual problem solving and enables clients to make their own decisions together with their attorneys, a jointly hired financial expert and divorce coaches from the mental health field who help them constructively contain the emotional issues that are inherent in a divorce. Vicki is a leader of the collaborative law movement in the D.C. metropolitan area. She is past president of the Collaborative Dispute Resolution Professionals, a collaborative law professional society based in Montgomery County, Maryland. In May 2011 she was a guest on WAMU’s Kojo Nnamdi Show helping to educate the public on Collaborative Divorce. Since 2010, the Best Lawyers in America has named Vicki to its list for her work in family law and mediation. She was recognized in 2013 by Bethesda Magazine as one of the top divorce lawyers in Montgomery County, Maryland and “the one to call when pension issues are complicating a settlement.” Vicki has taught legal education programs on division of retirement benefits, including federal government, military and international organization plans (like the World Bank and IMF). She has provided advanced training on financial aspects of divorce, including, property transfers, divorce tax and allocation of retirement benefits for the mediators of the District of Columbia’s Multi-Door Dispute Resolution Division. Before moving with her family to Silver Spring, Maryland, Vicki was a sole practitioner in Albuquerque, New Mexico. Vicki enjoys traveling, reading, drinking fine wine, going to the theatre and exercising at the gym most mornings at 5:00 a.m.